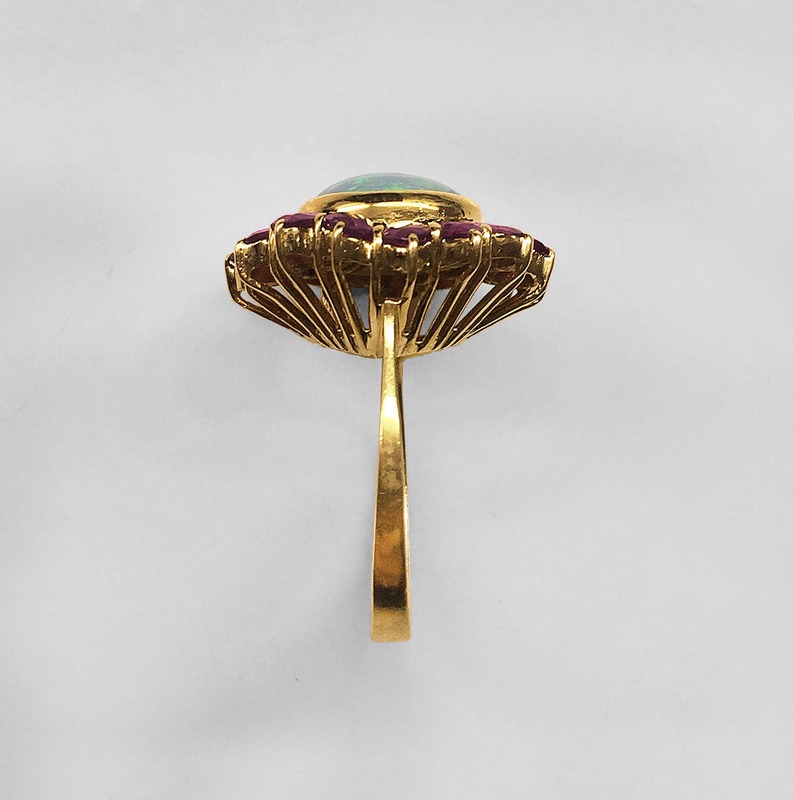 This smashing 14K Yellow Gold ring is one-of-a-kind for sure! 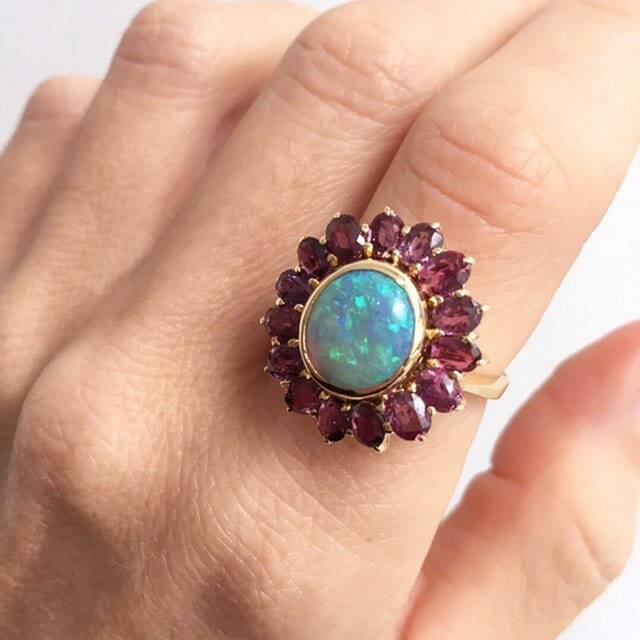 The bezel set fiery Australian Black Opal exhibits gorgeous shades of blue, green, and undertones of reddish-gold and weighs approximately 3 carats. 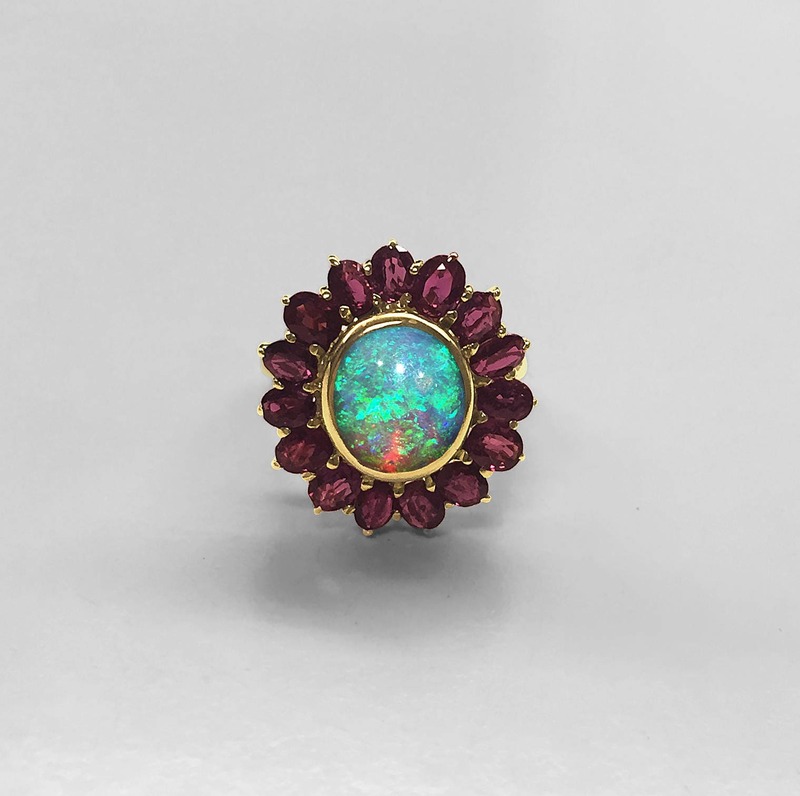 Surrounding this beautiful opal are 16 oval faceted rubies weighing approximately 3.20 carats. 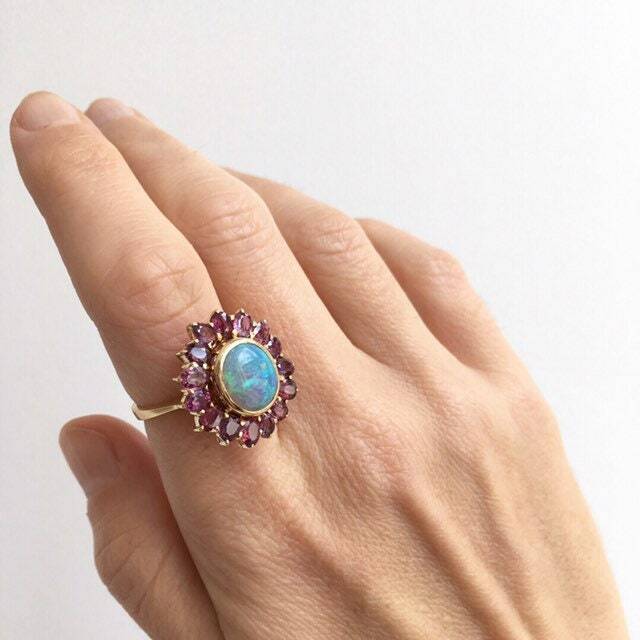 This ballerina style ring was made in approximately 1975 and was purchased by us from a lovely lady who had amassed a huge collection of gorgeous opal rings in her lifetime. This one is one of the prettiest and most unique. The ring is currently a size 6 3/4 but could be sized easily to fit your finger.